Don’t be intimidated by mussels; they’re easier to prepare than you think and they make a great weeknight option. The mussels here are cooked in a flavorful broth that becomes a light sauce for the pasta. The addition of fresh tarragon underscores the anise flavor of the sauteed fennel in the sauce. When cleaning the mussels, throw out any that won’t close or have broken shells. You can substitute 1 pound of spaghetti or bucatini for the linguine, if desired. Bring 4 quarts water to boil in large pot. Meanwhile, discard fennel stalks. Halve bulb, core, and chop fine. Chop onion fine. Chop 2 tablespoons tarragon. Scrub mussels and remove weedy beards protruding from between shells using paring knife. Heat 2 tablespoons oil in Dutch oven over medium heat until shimmering. Add pepper flakes, fennel, and onion and cook until softened, about 5 minutes. Add tomatoes with their juice and wine, bring to simmer, and cook until sauce reduces slightly, about 10 minutes. While sauce cooks, add pasta and 1 tablespoon salt to boiling water and cook, stirring often, until al dente. Reserve ½ cup cooking water, then drain pasta and return it to pot. When sauce is reduced slightly, stir mussels into sauce, cover, and steam until fully open, 6 to 7 minutes. Using slotted spoon, transfer mussels to bowl, discarding any that do not open; cover to keep warm. Turn off heat, add pasta to sauce, along with tarragon and remaining 1 tablespoon oil and toss to combine. Adjust consistency with reserved cooking water as needed. Season with salt to taste. 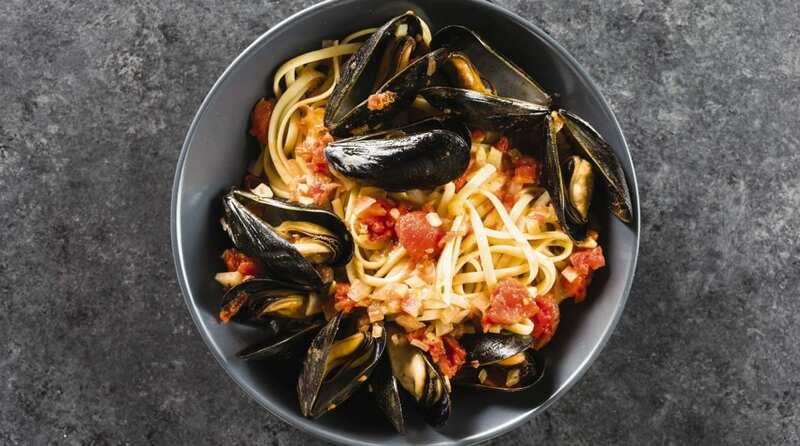 Divide pasta among individual serving bowls and top with mussels. Serve immediately. Nutrition information per serving: 527 calories; 106 calories from fat; 12 g fat (2 g saturated; 0 g trans fats); 42 mg cholesterol; 784 mg sodium; 69 g carbohydrate; 5 g fiber; 7 g sugar; 29 g protein. 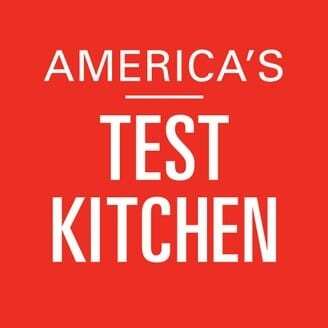 For more recipes, cooking tips and ingredient and product reviews, visit America’s Test Kitchen. Find more recipes like “Linguine with Mussels and Fennel” in Dinner Illustrated.